Business Manukau is a non-profit organisation, providing services to businesses in the city of Manukau, New Zealand, with two main objectives; making Manukau safer for all, and promoting the city as the best place to shop work, invest and play in Auckland. In order to achieve their first objective, a number of crime prevention managers regularly patrol the streets of Manukau, dealing with shoplifters, beggars, buskers and persons displaying antisocial behaviour. The crime prevention managers work alone and often carry out patrols throughout the night. Due to the high-risk nature of their work and the members of public they encounter, Business Manukau’s lone workers are vulnerable to aggression, intimidation and threats. The organisation recognised that if a situation escalated and became dangerous, the crime prevention managers would need a quick and easy way to call for backup. Why did Business Manukau launch StaySafe? Business Manukau began looking for an app based solution when they came across StaySafe. The StaySafe lone working app had all the right features from check-ins and panic alerts to duress and discreet panic. The additional Bluetooth button was particularly attractive as the user is able wear it around their wrist and quickly signal for help without accessing their phone. 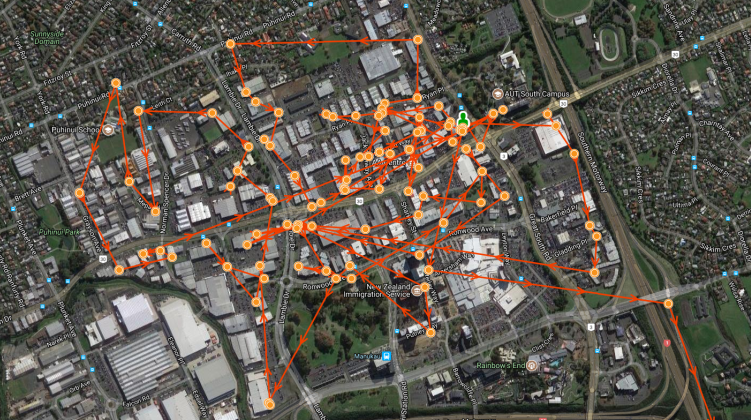 Due to patrols covering the entire city of Manukau, location visibility was also a crucial feature. If a crime prevention manager raises an alert, the monitor is able to view their location on a map and send assitance quickly and directly to them. “Since launching StaySafe, our crime prevention managers feel much safer as they patrol the streets, knowing that backup is only a button click away. Any alert that is triggered goes through to an external 24/7 monitoring station so we know their safety is being looked after even when working late at night.